RC44ClassAssociation video above published Jul 1, 2018: All the very best shots from a stunning week of racing in Marstrand. RC44 Class Association video above published Jun 30, 2018: Torbjorn Tornqvist and his crew on Artemis Racing continued their progressive form on a closely-fought third day at the RC44 Marstrand Cup off Sweden’s west coast, moving from second place to first overall after nine races. The dark blue-hulled all-carbon one-design with Tornqvist on the wheel scored a third place in the first race of the day – heat seven of the series – then second in race eight, and recovered well to finish fifth in race nine when they briefly dropped from first to eighth at the leeward mark. Artemis now leads the overall ranking on 37 points and by two points from Nico Poons’ crew on the much-improved Charisma which jumped four places from sixth to second with the best overall performance of the day. They scored a win in race seven, were fifth in race eight and were second in race nine. In third place, another two points behind, is Bronenosec Sailing Team jointly skippered this week by Vladimir Liubomirov and Kirill Frolov. Then comes their fellow Russian Vladimir Prosikhin on Team Nika in fourth place. Meanwhile Igor Lah’s CEEREF – which led after the first day and won today’s final race – is now in fifth place. The RC44 Marstrand Cup is the third event of the RC44 Championship Tour which pits the world's top businessmen and the best sailors in the industry compete in high-performance one-design 44-foot carbon racing yachts. RC44 Class Association video above published Jun 28, 2018: Testing out the RC44 in Marstrand is new Russian crew Tavatuy Sailing Team. In search of a fresh challenge after running a successful Melges 32 campaign, watch the team to get their first impressions of the boat. RC44 Class Association video above published June 27, 2018: Practice racing at the RC44 Marstrand Cup - It doesn't get much better than this. RC44 Marstrand Cup, Marstrand, Sweden, June 28 - July 1, Venue: Marstrand on the west coast of Sweden where racing will take place from 27th June until 1st July. This event provides the opportunity for the two Swedish teams, Torbjörn Törnqvist’s Artemis Racing and Artemis Racing Youth, to compete on home waters. Racing schedule and results. LIVE Tracker and Virtual Eye--Dongfeng Race Team won the Volvo Ocean Race 2017-18 in the closest finish in race history. Dongfeng Race Team Skipper Charles Caudrelier led his team to victory on the final leg of the race, with Dongfeng choosing the coast route (versus offshore) then sliding in front of the offshore group, to earn their first leg win, and propelling Dongfeng Race Team to the overall Volvo Ocean Race 2017-18 victory. Volvo Ocean Race Leg 11 started 21 June 2018, 12:00 UTC (14:00 Gothenburg); and finished at The Hague, Netherlands. Volvo Ocean Race video above published Jun 25, 2018: the Volvo Ocean Race 2017-18 comes to an end in epic style in The Hague, Netherlands, to decide the overall winner! Volvo Ocean Race video above published Jun 24, 2018. All 'Daily Live' videos here. Video above published June 21,2018. Full LIVE Replay of Leg 11 Start here. The last shortest leg of the race (700 nautical miles), starts from Gothenburg on Sweden’s west coast on 21 June and then the fleet races south through the North Sea to The Hague. A mark has been added off the Danish city of Aarhus, to give sailing fans an opportunity to see the boats up close and personal, as they complete the final sprint. - Bonus point awarded to the winner of every leg, while the two Southern Ocean legs and the Transatlantic leg score double points. - An additional bonus point is awarded at the end of the race to the team with the best overall elapsed time. 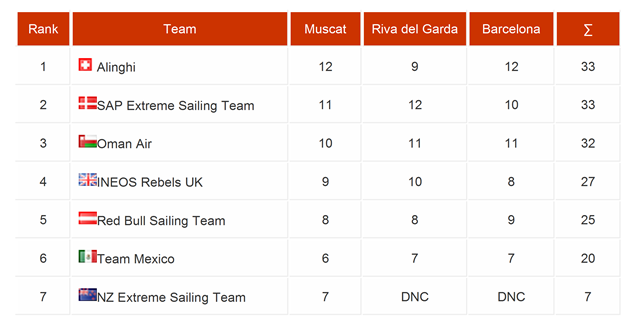 - Ties will be broken in favour of the team with the higher ranking at the conclusion of the In-Port Race series. 52 Super Series video above published Jun 25, 2018: A whirlwind week sees new royalty crowned in Croatia! Next stop: Cascais for the ROLEX TP52 World Championship Cascais 2018. Stay tuned. Racing starts again on 21st July. Full recap here. All 2018 52SuperSeries videos here. 52SuperSeries Scheduled for Jun 24, 2018. Day 5 – the final day – of the 52 SUPER SERIES Zadar Royal Cup. On Sunday’s menu is two Windward-Leeward Races. The first is due to start at 12:00 CEST (6:00 AM EDT in US). SAIL Magazine video above published May 30, 2018: during the Volvo Ocean Race stopover in Newport, Rhode Island, AkzoNobel team manager Gilles Chiorri gave a guided tour of a Volvo Ocean 65 One-Design. The World Sailing Show video published Apr 23, 2018: AkzoNobel's Chris Nicholson describes how to helm a Volvo Ocean Race 65 in extreme conditions. The final leg of the Volvo Ocean Race 2017-18 starts Thursday, June 21, 2018, from Gothenburg, Sweden. Extreme Sailing Series video above published Jun 14, 2018: The first day of the 2018 Extreme Sailing Series™ Act 3, Barcelona did not disappoint, with big breeze propelling the high-speed GC32 catamarans around the course from the word go--watch some of the best moments in the video above. See also Virtual Eye. Volvo Ocean Race Leg 10, started June 10, 2018, at 15:00 UTC (16:00 Cardiff) from Cardiff, UK, 1300 nautical miles to Gothenburg, Sweden. Volvo Ocean Race video above published Jun 14, 2018. See all prior Volvo Ocean Race 'Daily Live' videos here. 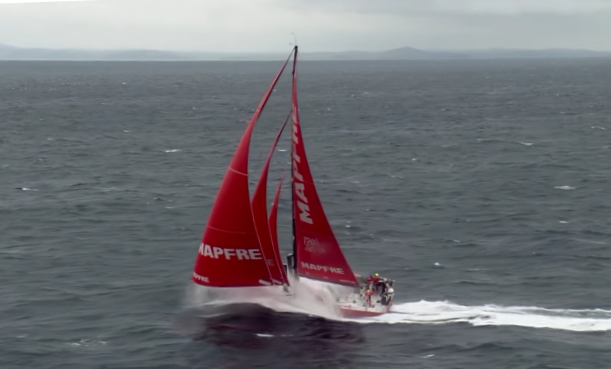 Volvo Ocean Race video above published Jun 13, 2018. Rolex World of Yachting video above published Jun 16, 2018: For the triumphant crews at the 2018 Rolex Giraglia victory came courtesy of impressive comebacks in the 241-nm offshore race. Line honours was claimed by Tango in a time just short of 24 hours and after an epic contest with two rival Wallycentos Galateia and Magic Carpet Cubed. Following an intense competition between six Maxi 72s, Dieter Schön’s Momo mounted an impressive recovery in the second half of the race to seal overall victory on handicap and secure the Rolex Challenge Trophy and Rolex timepiece. An international fleet of 212 yachts contested the 66th edition of this historic offshore race noted for its close competition and spirit of camaraderie. Rolex World of Yachting video above published Jun 14, 2018: Line honours at the 2018 Rolex Giraglia came down to a contest between the competing Wallycentos. All three yachts – Galateia, Magic Carpet Cubed and Tango – held leadership in a tactically challenging and exciting race. After nearly 24 hours at sea, it was Tango who arrived first in Genoa some nine minutes ahead of Galateia. Magic Carpet Cubed, line honours winner in 2016, was third to finish. Late on Thursday afternoon, the vast majority of the 212-strong fleet were on the approach to the race’s iconic landmark, the Giraglia rock. The race to be crowned overall winner on handicap is now on. Rolex World of Yachting video above published Jun 13, 2018: The main event at the 2018 Rolex Giraglia commenced shortly after midday with an international fleet of 212 yachts embarking on the 241-nm offshore race from Saint-Tropez, France to Genoa, Italy. The chase for line honours is expected to be wide open with three Wally Centos, six Maxi 72s and the 100-ft Maxi Leopard 3 all in contention to finish first. Conditions are expected to be light with a new race record unlikely. Following a spectacular race start in the bay of Saint-Tropez, the fleet has begun the long leg to the race’s emblematic landmark and virtual halfway point, the Giraglia rock, located off the northern tip of Corsica. The Rolex Giraglia, celebrating its 66th edition, is organised by the Yacht Club Italiano in collaboration with the Société Nautique de Saint-Tropez. Rolex Giraglia 2018 videos playlist here. The 66th edition of the Rolex Giraglia takes place from 8 – 16 June and marks the 20th anniversary of Rolex's involvement with the event. Organized by the Yacht Club Italiano, with the support of the Société Nautique de Saint-Tropez, this internationally renowned competition regularly attracts an impressive fleet of over 250 yachts. A major fixture in the Mediterranean yachting season, the Rolex Giraglia offers both inshore and offshore racing serving up the perfect blend of camaraderie and competition. 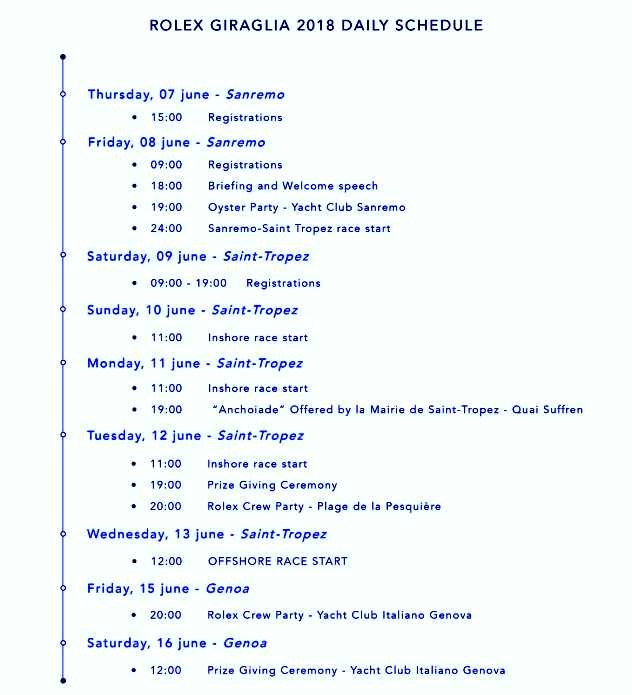 The 241-nautical mile offshore flagship race is from Saint-Tropez, France to Genoa, Italy. 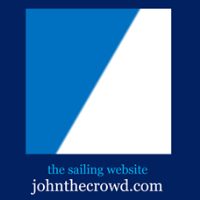 Live coverage from Sailing's 2018 World Cup Series Final in Marseille, France on Sunday 10th June. Schedule of races (local time): 11:13 - Laser; 12:00 - Radial; 12:45 - Finn; 13:28 - 470 Men; 14:10 - 470 Women. World Sailing TV video above published Jun 8, 2018: Highlights from the fourth day of competition at Sailing's World Cup Series Final in Marseille, France. 2018 Word Cup Series Final | Marseille Videos Playlist. IMO approves U.S.-Russian proposal for Bering Strait routing measures | govdelivery.com excerpt graphics above, report embed below. Labels: Alaska, Bering Sea, Bering Strait, IMO, International Maritime Organization, maritime, routing, Russia, sailors, U.S.
"Where boating instruction was known, 81 percent of deaths occurred on vessels where the operator had not received boating safety instruction. The most common vessel types involved in reported accidents were open motorboats, personal watercraft, and cabin motorboats. The vessel types with the highest number of fatalities were on open motorboats, kayaks, and personal watercraft. The Coast Guard reminds all boaters to boat responsibly on the water: wear a life jacket, take a boating safety course, attach the engine cut-off switch, get a free vessel safety check, and boat sober."